Naftali Bennett is Israel’s most-searched politician. Ayelet Shaked, Shelly Yechimovich make search list, too. The internet search engine Google has published figures relating to searches in the year 2013, including the list of the most-searched Israelis. 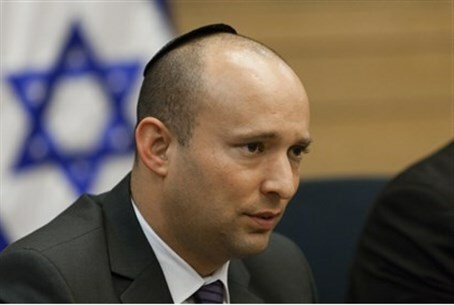 Economy Minister Naftali Bennett, head of the Jewish Home party, was the only politician to make the list of Israeli men whose names became popular search terms during the year. Also on the list were singer Arik Einstein, who recently passed away, actor Sefi Rivlin, blogger Omri Hayoun, Rabbi Ovadia Yosef, journalist Emmanuel Rosen, and Rabbi Amnon Yitzchak. The list of most-searched women included MK Ayelet Shaked of the Jewish Home party and MK Shelly Yechimovich, the former head of the Labor party. Reality TV stars were among the most-googled names among both men and women. The most-searched political parties were Yesh Atid, Eretz Hadasha, Jewish Home and Meretz. Yesh Atid achieved sudden success in the 2013 elections, becoming the Knesset’s second-largest faction as a new party, while Jewish Home and Meretz both doubled their seats.